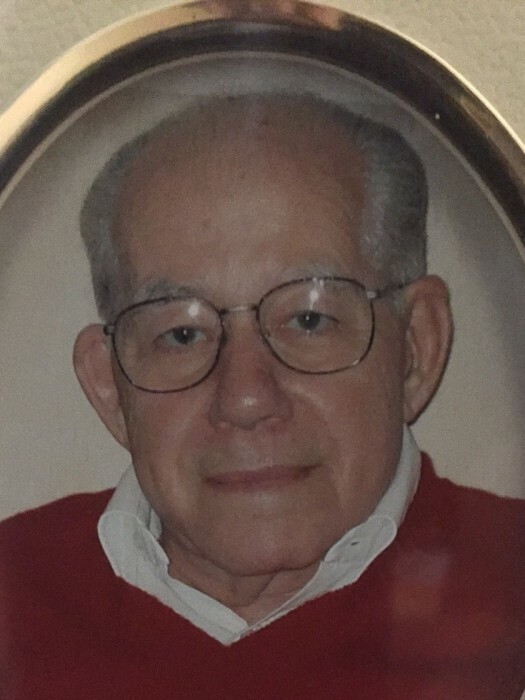 Age 96, of Dublin, passed away Saturday, April 13, 2019 at Bluebird Assisted Living in Marysville, OH. He was born March 2, 1923 in Spelter, WV to Ramon and Adele (Cuervo) Cueto. He was a 1942 graduate of Victory High School in Clarksburg, WV and served in the U.S. Navy from 1942 – 1946. He then moved to New Jersey where he attended Rutgers University and earned his degree in Civil Engineering. Charles came to Ohio in 1952 and worked for Peter Kewitt Construction and helped with the construction of the “A” Plant in Piketon. In 1956 he married Marie Winn in Cambridge, OH. He worked at Cleveland State University from 1966 – 1986 as Vice President of Physical Services. He loved to work and also owned and operated Atlas Services, a cleaning service in Cleveland. He enjoyed traveling, gardening, watching sports, and was an avid reader. Most of all, he loved spending time with his family. Charles is survived by a daughter, Marguerite (Lee) Dearth of Dublin; two step-daughters, Glenda Dunman of Pickerington, Rosalie Liles Willard of Houston, TX; stepson, Stephen (Wanda) Phipps of Waverly; grandchildren, Justin, Christopher, and Benjamin Dearth, Megan Richards, Julie Keller, Lorilee Hawkins, Stanley Dunman; great-grandchildren, Caroline Richards, Kara Keller, Ashley Dunman, Alex Dunman, Joshua Arnett. In addition to his parents, he was preceded in death by his wife, Marie; eleven brothers and sisters; and grandsons, David Wayne and Jay Allen Adams. A private family service will be held Friday April 19, 2019 at 12 noon at D.W. SWICK-NELSON FUNERAL HOME in Wheelersburg. Interment will follow at Memorial Burial Park in Wheelersburg. Fond memories of Charlie and expressions of condolence may be shared at www.DWSwickNelsonFuneralHome.com.